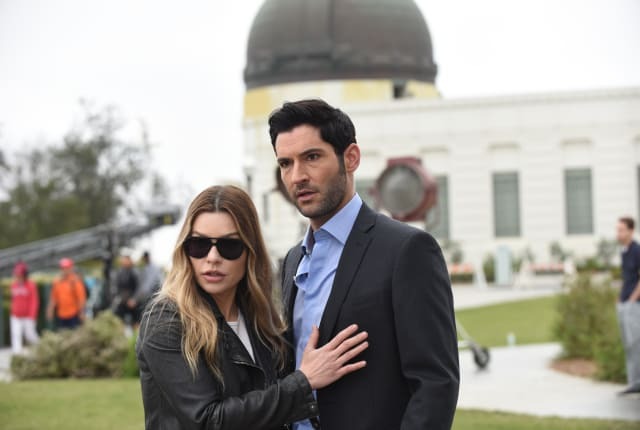 Watch Lucifer Season 3 Episode 26 online via TV Fanatic with over 1 options to watch the Lucifer S3E26 full episode. Affiliates with free and paid streaming include Amazon. After Lucifer’s mom creates an alternate dimension, Lucifer now lives in a world where he not only has never met Chloe (Lauren German), but is granted the freedom of choice. Charlotte: Naughty, naughty Detective Espinoza. Dan: I'm just making sure the bills are real. Charlotte: The only way to make sure is to spend it, right? Permalink: he only way to make sure is to spend it, right? Dan: But I'll also be watching to make sure you don't sneak out and disappear. Charlotte: Because you'd miss me if I did? Dan: You know what? Maybe I would. Permalink: You know what? Maybe I would.